SWITCH #2 Review | Warped Factor - Words in the Key of Geek. Gail Williams is glad she made the Switch. 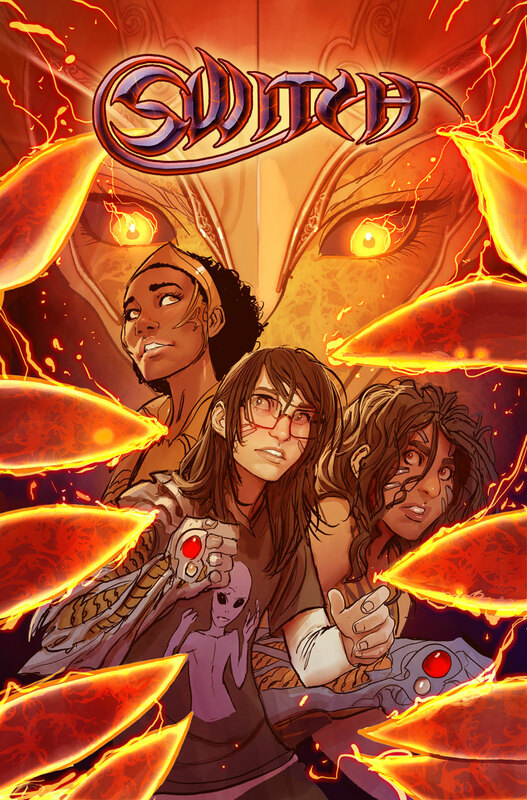 Having been a big fan of Witchblade from Top Cow I was sad when the series ended, but happy that Switch became a sort of progression of the story, a Witchblade: The Next Generation if you will. Issue 1 was great, but as I opened issue 2 page one threw me. Pezzini and McCarthy. There are big crossovers with Witchblade here, so I shouldn’t be surprised, yet somehow I was. We rejoin the action after the incident, and a few police officers have finally arrived (hence the odd first paragraph here). Page two was a bit off putting too. Don’t remember Kenneth Irons being this submissive ever, there again, he also seems younger in this version so it must be time to forget all I thought I knew. Which puts me in a sympathetic mood for page three when we get back to Mary who doesn’t know where she is. Where she is turns out to be in hospital with a headache, some new jewellery, and way too much honesty when talking to the police - a certain Detective Pezzini who gives nothing away. Mary’s home coming just goes to show that family can be odd, but sibling relationships are simply weird - and kind of wonderful. Now Kenneth Irons still doesn’t have any superpowers, but he is super-rich, so he does have all the resources technology can buy him, like facial reconstruction from CCTV images. And, happily for me, he’s brought Ian Nottingham back in from the cold - Loving the Nottingham! There’s more to read, but I’ll let you do that. I am loving this reboot. 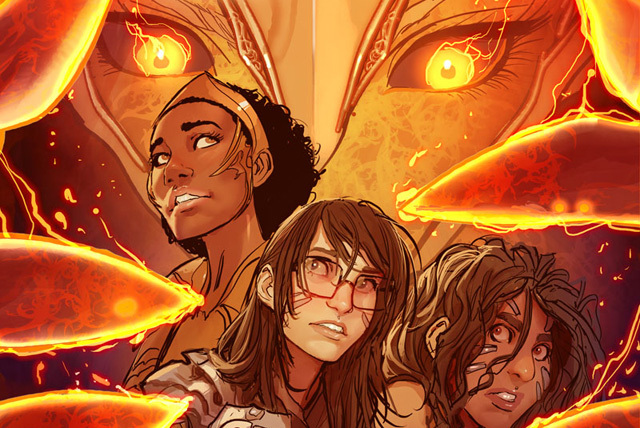 I love the new stories, the way that they have taken on the mythology of the old Witchblade and turned it into something bright and new and relatable for a whole new generation. I feel for Mary being thrust into this strange new world with no idea how or why. As the series moves on I’m looking forward to seeing how she copes, what she learns. I’m also looking forward to seeing what Detective Pezzini is going to do, was she still a bearer in this version? Will she help Mary adjust? Will she be the ‘Friend on the Force’ that most superheroes need to cover up for them? I’m pretty sure it won’t surprise anyone to know I’m really looking forward to seeing more of Ian Nottingham too, preferably with his shirt of, but there again this is for the younger generation, so that might not exactly be appropriate. Unfortunately. All in all this is shaping up really well. I’m tempted to give it a five out of five, but if I did so there would be nothing to mark out the truly great issues, so this one is a well beloved four out of five.